& What Do They Look Like? White Grubs (Lawn Grubs) are the larval stage of scarab beetles, and they develop under your turf, feeding on the roots of the grass. 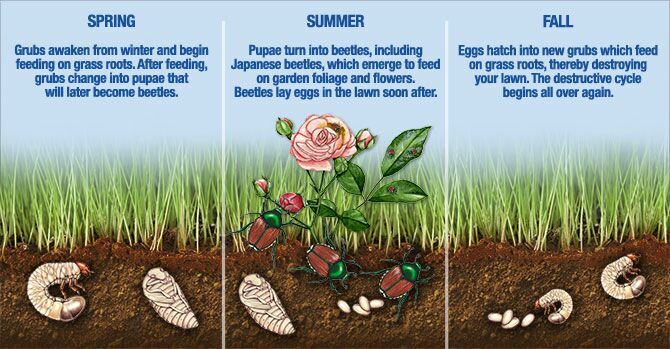 This feeding causes damage to your lawn, making white grubs a troublesome lawn pest. Learning how to identify white grubs will help you to control white grubs more efficiently. Off white or dirty white in color with brown heads. When at rest or when exposed, form a c-shape lying on side. Have well developed legs on upper half of body. Will be about an inch to three inches long, depending on life cycle stage. Different species of the larvae are more common than others depending on where you live. Your local extension office can help you determine which is most common in your area, and help you identify the type of grub you have. Identifying your grub is important when it comes to control. 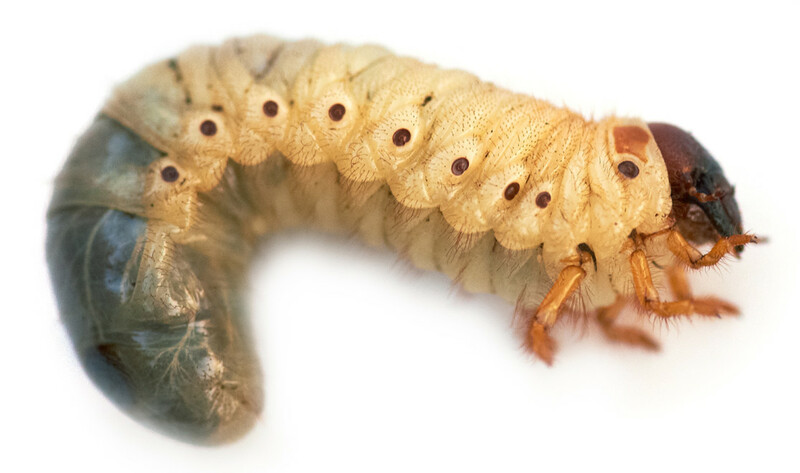 Make sure you know what type of grub you have before you begin a control measure, since some products may only control one type of grub. 333 of 372 people found this article informative and helpful.